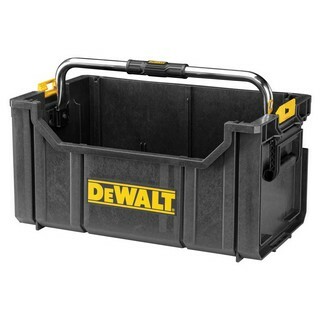 The brand new Site Radio from Dewalt has arrived in a toughsystem case. This makes it a great addition to an existing Dewalt Toughsystem, or as a standalone, robust Radio for any job site environment. 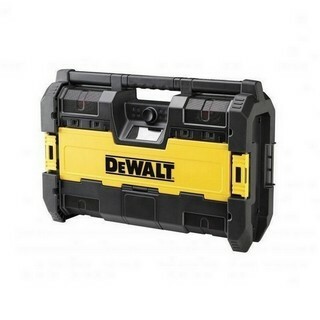 The Dewalt Toughsystem Radio features a DAB Radio with FM and AM presets and Bluetooth Technology to connect your music playing device, with an impressive speaker system for high audio quality. Capable of being powered through mains power or by a Dewalt battery, the flexibility of the Dewalt Toughsystem Radio and the innovative features it comes with makes it a great choice for professional tradesmen.